Put your heart, mind and soul into every single workout. That’s how you truly grow. Real growth. That kind that you can truly measure. The kind that will take you forward. The kind that will make a difference. That kind of growth only comes when you put your heart, mind and soul into every single workout. That’s the single thing that separates those who achieve success from those who don’t. Those that are extraordinary and those that create real growth are those that go ALL in. In every single workout, every single set and every single rep. 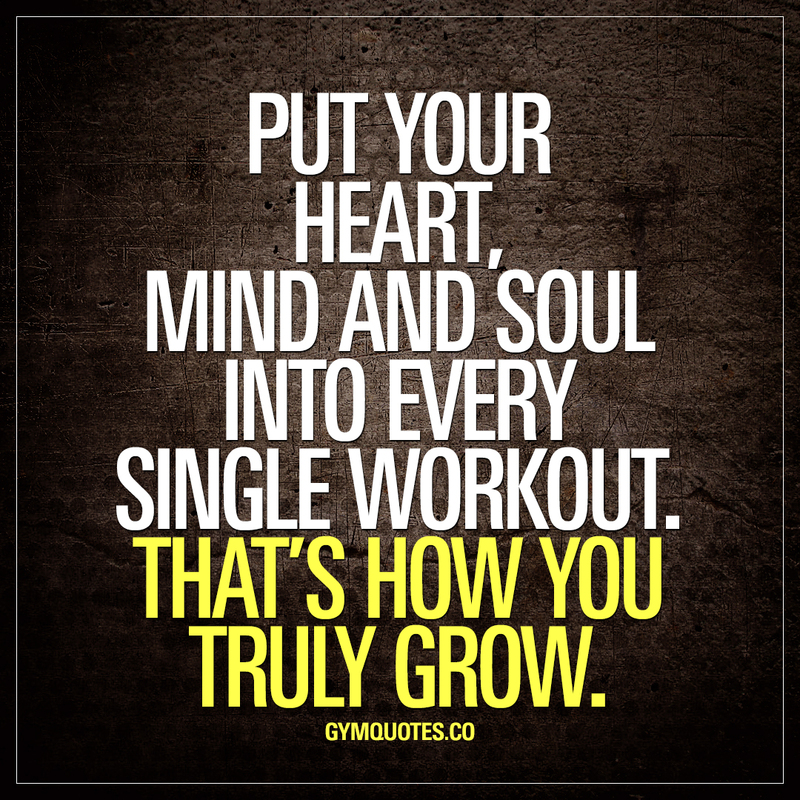 If you like this gym quote about putting your heart, mind and soul into each and every workout, then make sure you share it with someone! Also, we would love to see you join our tribe and sign up to our 100% FREE newsletter!